Maroon and gold Spirit Beads. 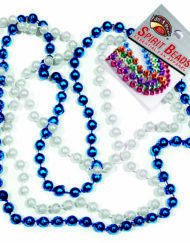 Set of two 33-inch strand bead necklaces with 1/4-inch diameter beads. One maroon, one gold.